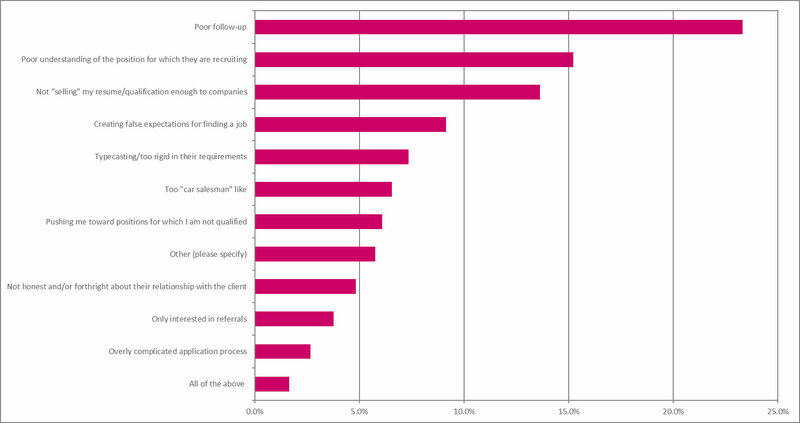 A few weeks back we posted the results of our survey of fashion industry recruiters’ pet peeves with job seekers. The idea was to help job seekers avoid the practices that get under the skin of recruiters. To help recruiters, both from direct employers and recruitment agencies, we conducted a similar survey BUT asked fashion industry job seekers about their pet peeves with recruiters. Again, the idea was to help recruiters better service their talent community (and, some payback for the job seekers). There were two parts to this survey. First, we asked fashion industry job seekers to provide their biggest pet peeves with fashion industry recruiters who work directly for the Hiring Companies. Second, we asked the same question but this time, it was directed at recruiters who work for Employment Agencies. A quick note: Please keep in mind that most company’s recruiting budgets have been cut in the last few years during the “retail apocalypse” and the “new normal” is that recruiters have to do a lot more with less. While we are not making excuses for any recruiter or recruiting agency, times are tough all over. Please note: With respect to “Posting ads for jobs that don’t exist,” unlike other fashion industry job listing sites, StyleCareers.com only posts ads at the request of the customer. We do not “scrape” job boards and do not “back-fill” from 3rd party sites. 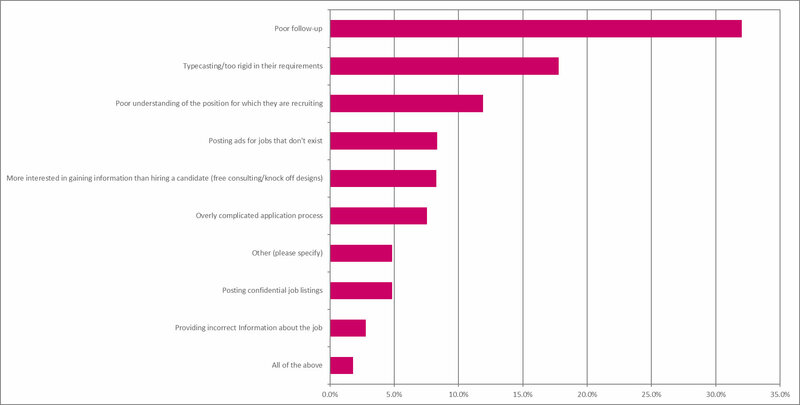 As a job seeker, you should be leery of websites that “scrape” or “back-fill” job listings; most have alternate agendas. While Poor Follow-Up is the number one pet peeve for both Direct Employers and Agency Recruiters, the percentage is lower for Agency Recruiters. This is largely due to the commissionable nature of agency placements. A larger percentage of Agency Recruiters seem to have difficulty grasping the positions for which they are recruiting. This is likely because comparatively fewer Agency Recruiters come from the fashion industry when compared to direct employer recruiters.